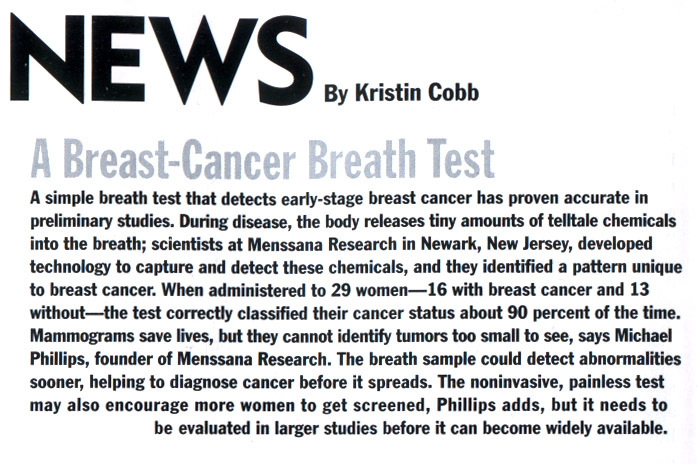 A Breath Test for Breast Cancer? Cathy's Spirit Foundation generously donated $3,000 to Menssana Research for further development of our breath test for lung cancer. This donation will help support our lung cancer feasibility trial at New York University and Maastricht University using our point-of-care BreathLinkTM system. We sincerely thank Robyn St. Hilaire and everybody else at Cathy's Spirit, and we are honored to be a part of keeping her mother's memory alive by developing an early-screening breath test for lung cancer. 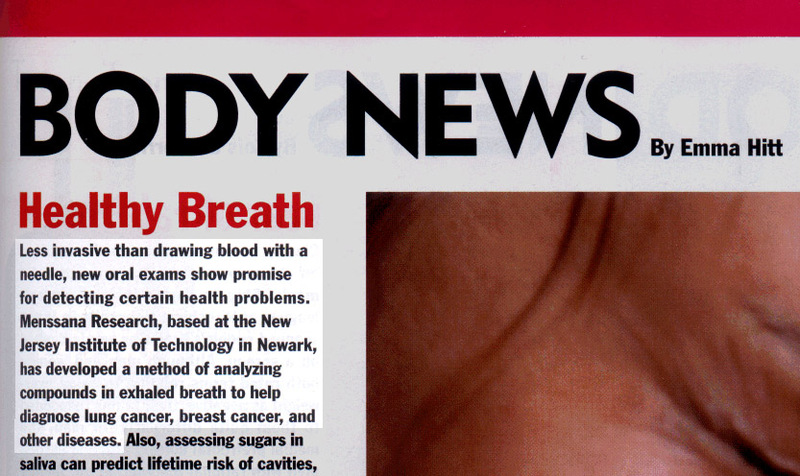 Beyond Breathalyzers; What Clinical Niche Will Breath Tests Fill? (PDF Document) Horizon Scanning Technology Summary: Lungscreen for lung cancer detection in high-risk patients. SBIR and STTR Success Story for Menssana Research, Inc.
(PDF Document / German text) Verr�terische Duftnote - L�sst sich Krebs �ber den Atem diagnostizieren?